Dr. Jane Steffen Bye, DC, FICPA treats a variety of conditions due to automobile accidents, including whiplash and low back pain, along with work related injuries, and sports injuries. She has a special interest in infants, children, and the care of pregnant women and has obtained her certification in this special field. She is also interested in helping people improve their body composition and general nutritional health. Graduated from Northwestern Health Sciences University in 1982. Also attended: Fergus Falls Community College. Additional degrees: Pediatric Chiropractic Certification I.C.P.A, Registered to perform acupuncture, Doctor of Chiropractic. The ICPA describes the Webster Technique as a specific assessment and diversifiedsacral adjustment for all weight bearing individuals including the pregnantpopulation. It is utilized to enhance the neuro-biomechanics in that individualby reducing the pelvic subluxation. It has been clinically observed to be associatedwith improved pregnancy outcomes since its development 30 years ago. Dystociais the primary reason for medical intervention. Webster Technique may be usedthroughout pregnancy for the prevention of dystocia. 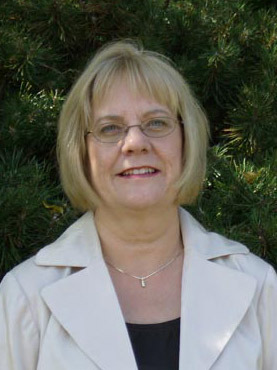 Dr. Jane Steffen Bye also uses the following techniques: Diversified, Craniosacral, Applied Kinesiology, Activator, Thompson, Flexion Distraction, and therapies such as ultrasound, electric stimulation, and Acupuncture. Our office is conveniently located in Shoreview, MN. Please call (651) 483-4040 to make an appointment.